GIG: Friday, October 19, 10:45pm: Penn Cinema, Wilmington, DE — We’re playing before a screening of FLASH GORDON! – Hot Breakfast! GIG: Friday, October 19, 10:45pm: Penn Cinema, Wilmington, DE — We’re playing before a screening of FLASH GORDON! Wilmington is having another sweeeeeet film festival! 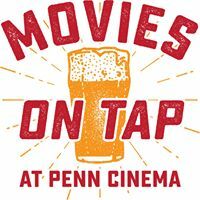 Three nights of thrills and chills at Penn Cinema, with seven magnificent movies and seven different breweries paired up to bring you one fantastic weekend. You’ll see classic flicks on the big screen in all of their 20th century glory… Nightmare on Elm Street, Young Frankenstein, the original Ghostbusters, E.T., Halloween, The ‘Burbs, and Flash Gordon. And one of those movies they wanted an opening band for… guess which movie? And guess who that opening band is? You’re right! Glim Dropper! It’s us! Friday October 19th is a three-movie night, and the final flick of that evening is FLASH GORDON… and who better to serenade tipsy theatergoers with some film-appropriate dork-rock? Us. Hot Breakfast! Delaware’s premier acoustic dork-rock power duo. We’ll take the stage around 10:45 and sing you some songs… and I think you know which song will be the shining star of our set. 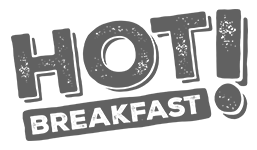 The MovieFest sounds pretty cool, even if we weren’t playing at it. You can buy tickets to individual movies for $20 a pop, or you can save a ton of cash and buy a festival pass and see all seven movies for just $75. It’s a deal and a half. ** Important: The Film Festival runs October 18, 19, and 20, but we are only playing on the 19th at the 11pm showing of Flash Gordon. WHO: Hot Breakfast! That’s us! WHAT: We’re playing a super-dorky set right before the screening of Flash Gordon. WHEN: The Film Festival runs October 18, 19, and 20, but we are only playing on the 19th at the 11pm showing of Flash Gordon. AGES: Some films are 21+, and some are open to all ages. Check the Facebook discussion for more info! FOOD: Only movie theater snacks. But there will be beer tasting! PARKING: There’s a big ol’ parking lot. TICKETS and INFO: $20 for individual movies; $75 for a festival pass. Click here for info and tickets just for Flash Gordon. Click here for tickets and info for the whole festival.